Members responded this morning for a vehicle collision on I-70. At 07:23 the station was alerted for a reported tractor trailer flipped over on Eastbound I-70 near Route 32. Units arrived to find a three vehicle collision with one patient needing extrication. 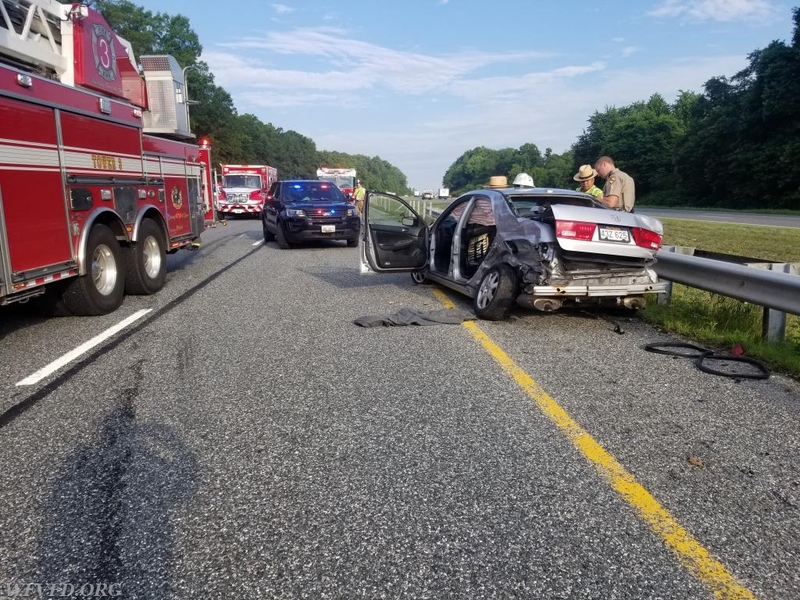 Two patients were ultimately transported to Howard County General Hospital by Paramedics 135 and 35. 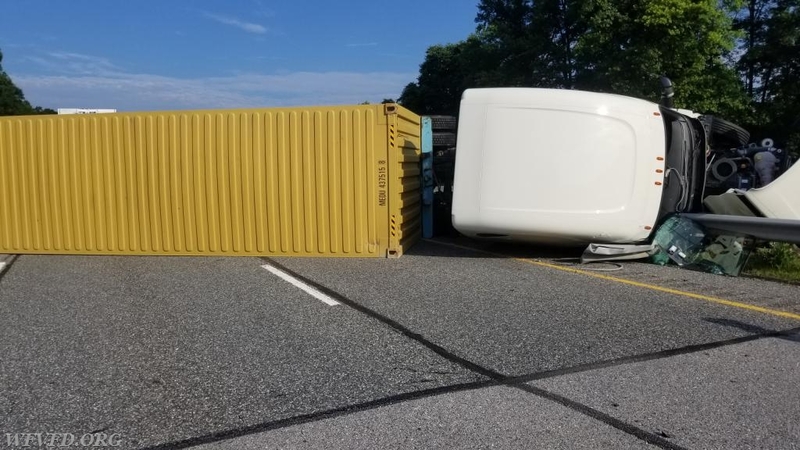 The tractor trailer was hauling paper goods which were deemed non-hazardous but I-70 remained closed for several hours while clean-up continued. Chief 3 held the command and units cleared at 09:42.